The BoomBox control platform is available with two types of software licenses, standard and expert, which correspond to different capabilities. In addition, the BoomBox can also be used without a license (e.g. as a slave unit for another BoomBox), or purchased as a hardware-only device. In any case, as the hardware is unique, instant upgradability/downgradability is possible at all times. Available as yearly or lifetime license. 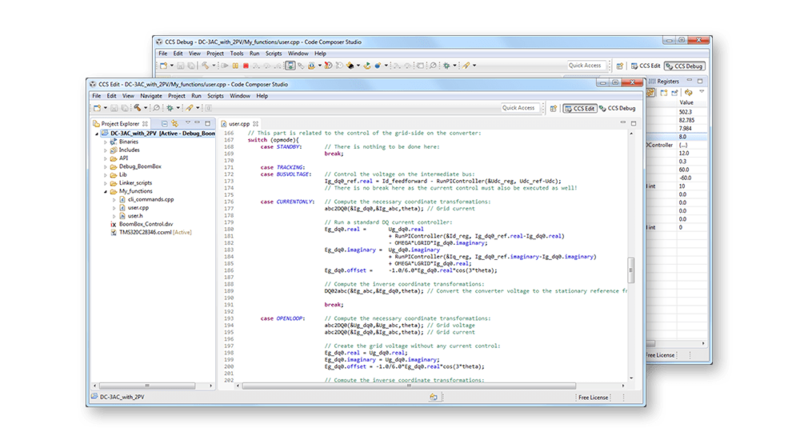 C/C++ programming provides a quick way to begin coding a converter control without requiring any additional software. The BoomBox is shipped with code examples, software libraries and helper functions to provide a better and faster coding experience. For advanced users and complex projects, C/C++ is a must, thanks to its flexibility and the best overall performance. 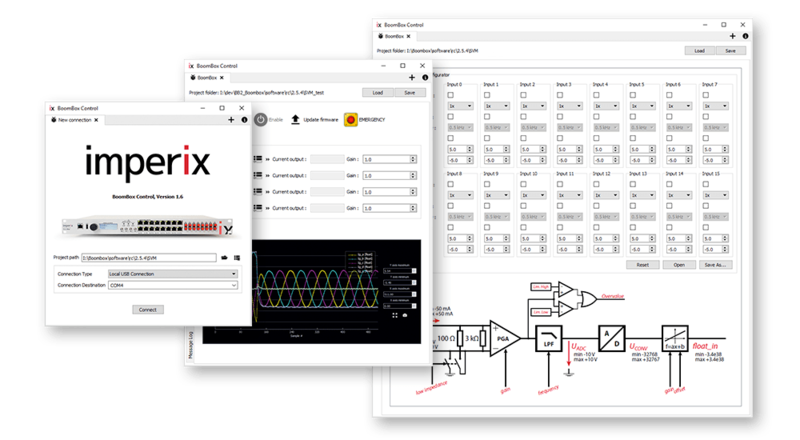 In addition to the current C/C++ coding approach, the development of your complex control can now be easier (and quicker) thanks to Simulink™-based coding. 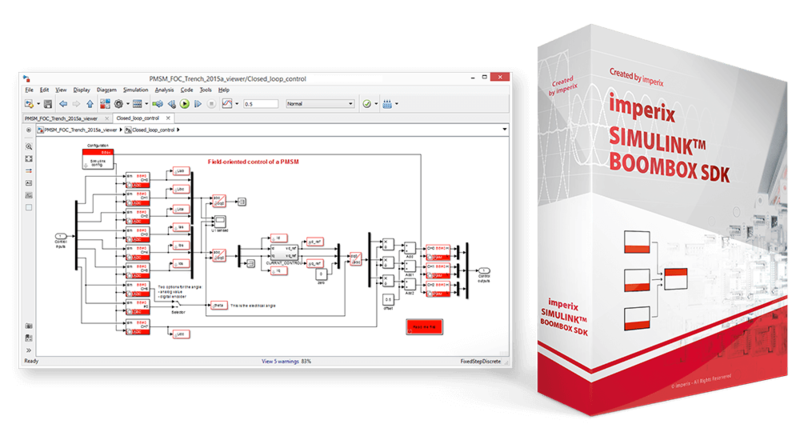 With BoomBox blockset for Simulink™, you can code your converter control within minutes. Relying on the capabilities of PLECS™ or SimPowerSystems™, you’ll be also able to run a realistic PC-based simulation of your converter along with its controller’s behaviour. Then, program your BoomBox controller in seconds (literally!) and start working on your real prototype, whether it has been assembled with imperix PowerTrench modules or any custom hardware. Each BoomBox control system is shipped with the BoomBox Control software. This is a graphical Windows-based tool that enables the user to monitor, control, and display data from the BoomBox control platform. All these tasks can be performed while your converter is actually working, without impeding on the real time execution of the control. 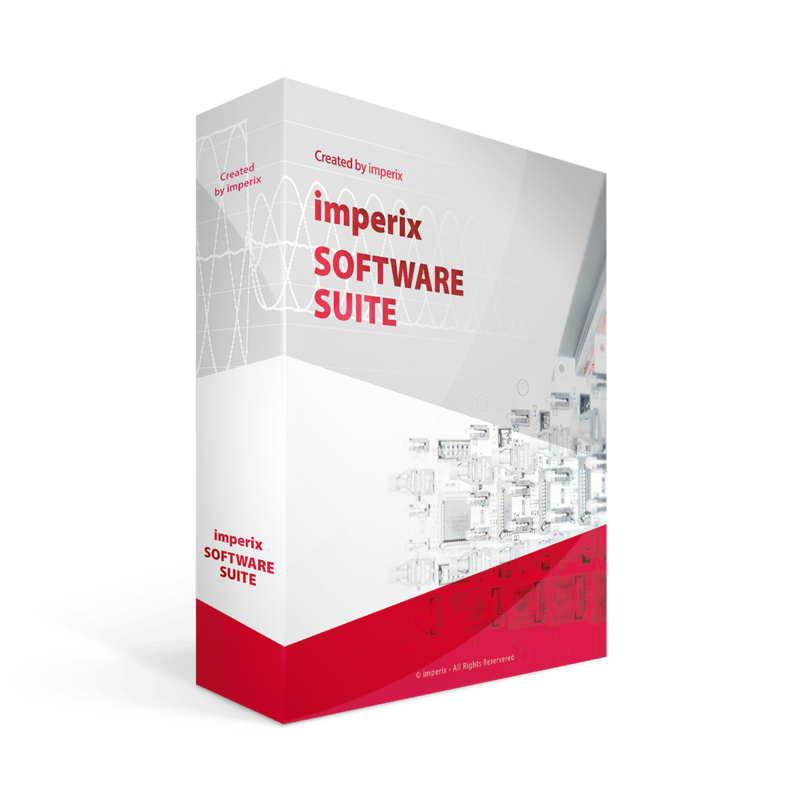 This tool threfore provides a quick and convenient pathway to debugging, tuning, datalogging and remote control tasks. No matter if you are debugging a newly written control code or if the BoomBox runs in standalone mode, the BoomBox control simply connects your controller to your computer via a single USB cable. You immediately get the hand on your power electronic controller independently from any other software.